We cherish your privacy and need for exclusive space. 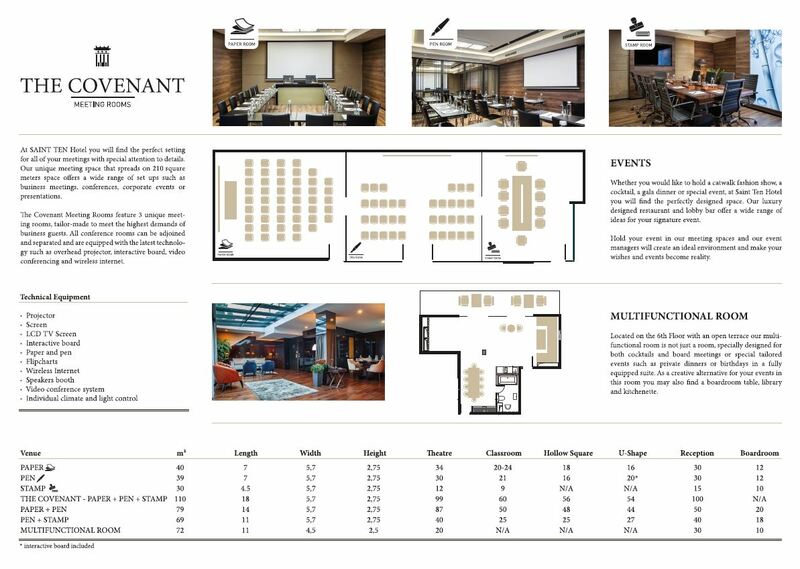 At Saint Ten Hotel you will find the perfect setting for all of your meetings with special attention to details and the newest equipment included. Our unique meeting space that spreads on 110 square meters’ space offers a wide range of setups such as business meetings, conferences, corporate events or presentations. Featuring 5 unique meeting rooms, tailor-made to meet the highest demands of business guests. 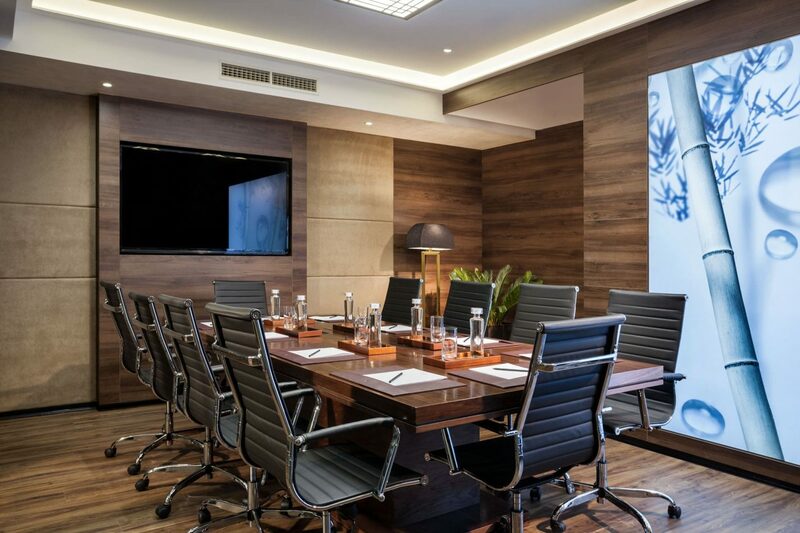 All conference rooms can be adjoined and separated and are equipped with the latest technology such as overhead projector, interactive board, video conferencing and so on. Hold your event in our meeting spaces and our event managers will create an ideal environment and make your wishes and events become reality.